iOS , an awesome OS by Apple for iPhone, iPad and iPod . A Few days ago a friend asked me how to give Windows 7 PC an iOS look ? At that time I referred this article about how to make your PC as like iPad. But now there is a awesome transformation or a theme pack to transform your Windows 7 PC into a iOS . 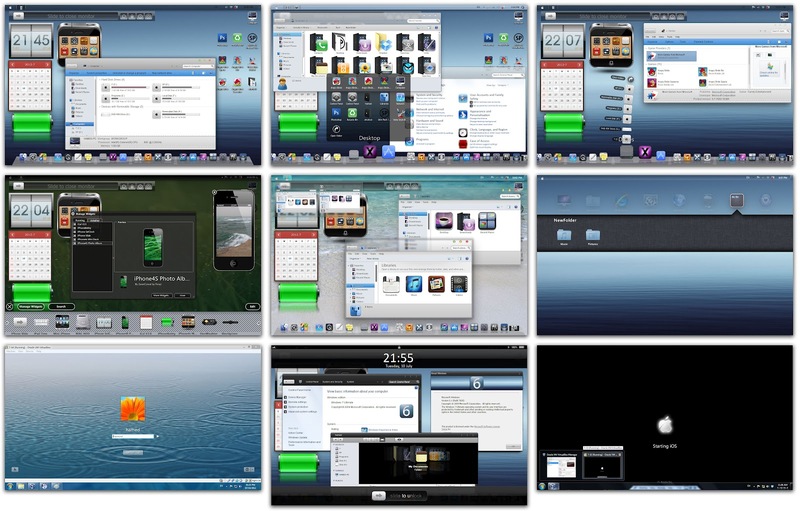 This theme pack or transformation pack provides a rich look to make your PC as like as iOS. So if you are thinking to convert your Windows 7 PC into iOS then just download the software and install. N.B.- Create a system restore point before installing this for backup & safety. Thanks a lot for this blog. I really thank you for you giving out this amazing information. I hope you can check-out my web site. Gamers really appreciate this information. The internet site is concerning microsoft points for free.